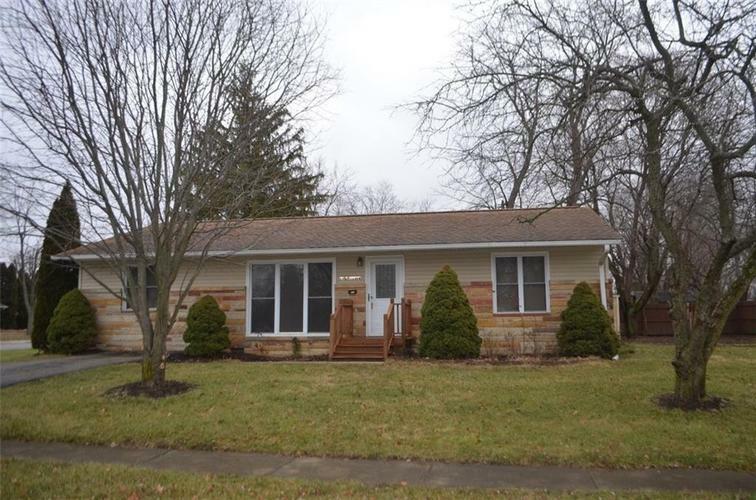 Remodeling is done in this Beautiful, Affordable 3 BDRM, 2 BA Ranch in Brownsburg w/NO HOA! Home has been UPDATED w/NEWER Eat-In-KITCHEN, LAUNDRY Rm & now has a MASTER SUITE w/NEW BATH & WI-Closet! That's not all, NEW Paint on ceilings, walls & woodwork, NEW Sliding Glass Door, Hardware, Faucets, Lights, Ceiling fans & Blinds. NEWER HVAC & Windows! Notice the lovely Hardwood floors! The Hall Bath has Dual vanities & tiled shower/tub. There is a Mini Barn & Partially Fenced Bkyd! The Screened Porch has fresh stain & located right off the kitchen! All appliances are included! Notice the large room sizes & lots of windows. Handy location in the heart of town near award-winning Brownsburg schools. This sweet home is MOVE-IN READY! Directions:From the intersection of SR 267 (Green St) & Main St, Head South on SR 267 (Green St) to Tilden Dr. Turn East (Left) to home on the corner of Tilden & Sunnybrook Dr (2nd right). Home faces Sunnybrook.